Ulster were boosted by the return of Iain Henderson from injury ahead of Saturday's European Champions Cup quarter-final against Leinster in Dublin. And Ulster head coach Dan McFarland was also glad to see other injury doubtfuls Darren Cave and Marty Moore get the medical all clear for the Aviva Stadium tie. 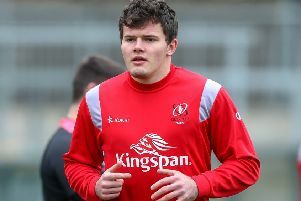 Luke Marshall is included on the bench and will possibly see his first action in nearly a year having suffered an ACL last May against Ospreys - the play-off game which saw Ulster book their place in this year's European Champions Cup.